The .338 Lapua Magnum (8.6×70mm or 8.58×70mm) is a Finnish developed rimless, bottlenecked, centerfire cartridgedeveloped for military long-range sniper rifles. (The designation is based on the calibre 0.338 inches, the Finnish company Lapua, which contributed the major development, and Magnum as indicator for an increased charge).The United States used it in the Afghanistan War and the Iraq War. As a result of this, it is now widely available. 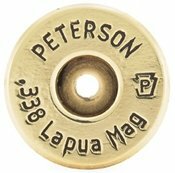 The .338 Lapua is a dual-purpose, anti-personnel and anti-materiel round, but its anti-materiel potential is limited, due to the bullet's lower kinetic energy compared with that of the .50 BMG's 35.64-to-55.08-gram (550.0 to 850.0 gr) projectiles. It can penetrate better-than-standard military body armour at ranges up to 1,000 metres (1,090 yd) and has a maximum effective range of about 1,750 metres (1,910 yd). 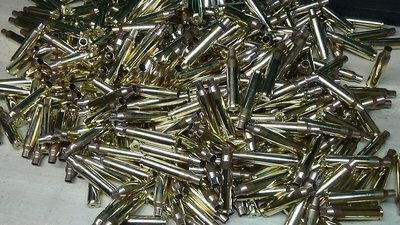 British military issue overpressure .338 Lapua Magnum cartridges with a 91.4 mm (3.60 in) overall length, loaded with 16.2-gram (250 gr) LockBase B408 very-low-drag bullets fired at 936 m/s (3,071 ft/s) muzzle velocity from a L115A3 Long Range Rifle were used in November 2009 by British sniper Corporal of Horse (CoH) Craig Harrison to establish a new record for the longest confirmed sniper kill in combat, at a range of 2,475 m (2,707 yd.